You’ve probably been using them for years, but do you know what an essential oil actually is? Essential oils are highly concentrated aromatic extracts that are distilled or expressed from flowers, leaves, resins, roots, and other plant materials. They harness the healing power of nature and have an ability to transform mind, body, and spirit that transcends their chemical nature. The term “essential oil” is actually a contraction of “quintessential oil”. This name is connected to the idea that all matter is composed of four main elements — fire, water, earth, and air — and also a fifth, lesser-known element called quintessence that is considered to be spirit or life force. What’s an essential oil, you ask? Certainly, more than meets the eye, or the nose! Essential oils have enormous therapeutic benefit for humans, but they are created by plants for four main biological purposes: to attract, to repel, to protect, and to provide immunity. When inside the plant, essential oils serve important functions and constantly adapt to the internal and external environment to keep the plant healthy. Plants also release essential oils to prevent competing plants from growing too close. For instance, here in my home state of California, there are two types of sage that don’t like to grow too close to the other species. To mark their territory, both varieties of sage release essential oils that maintain their competitive growing advantage. Have you ever wondered how certain foods and animals ward off ever-present attackers? With essential oils! 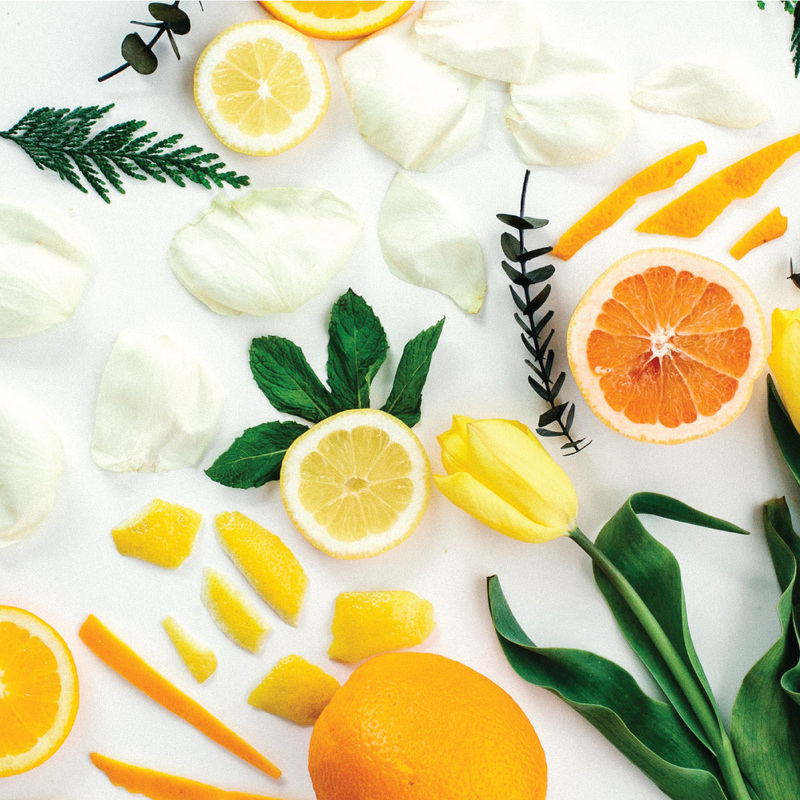 Citrus fruits like lemon and sweet orange have loads of essential oil in their peels — those oils contain a compound called linalool, which is highly unappealing to predators. By releasing this compound, the fruits avoid being eaten by predators. Meanwhile, evergreen trees like pine and balsam fir release essential oils that contain chemicals to protect the plant from harmful fungi and bacteria. Why aromatic plants create essential oils is similar to why we humans use them. We inhale and apply essential oils on our skin to maintain our wellness and protect ourselves. Using essential oils also helps us connect more deeply with plants and reveals our symbiotic relationship with nature. 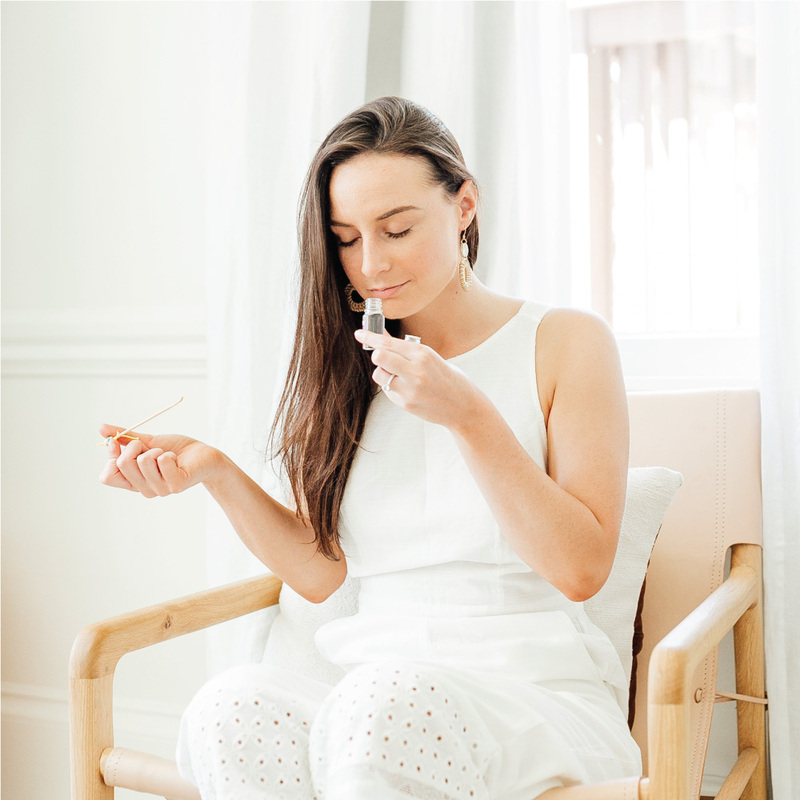 Nowadays, there’s a large body of scientific literature that has confirmed what so many ancient cultures knew about our deep connection to scent and its healing abilities. In fact, some recent research demonstrated that petitgrain essential oil can positively affect workplace performance by reducing stress and increasing attentiveness. And, if you’re a new mother, taking a whiff of some lavender might reduce some stress. Essential oils can enhance our wellbeing by creating a cascade of bodily reactions that affect our physiological and emotional states. When you smell essential oils, your brain responds by releasing endorphins (think: feel-good calm! ), serotonin (think: boosted mood! ), and even noradrenaline (think: stimulating and burst of energy!). What starts in the nose quickly travels to the brain and the rest of the body. Let’s take a closer look at how essential oil works in the body. The journey of essential oils traveling through your brain and body takes a similar path to that of a roller coaster ride at an amusement park. When smelling an essential oil, the chemical molecules travel through your nasal passages and land at the olfactory epithelium, which is specialized tissue in the nasal cavity. Think of arriving at the olfactory epithelium as approaching the first peak of the roller coaster ride. Once at the brink of the first drop of the ride, you know something big is about to happen. In the brain, this is likened to the aromatic molecules attaching to olfactory receptors in the brain. Once the scent molecules bind to the receptors, there is a series of chemical reactions that bring us to the heart-thrilling drop in the ride. The actual mechanisms that activate these receptors are still under investigation by neuroscientists, but we know their activation is necessary for the amazing cascade of changes about to happen! When the activated receptors start sending electrical signals alerting the rest of the brain that sensory information is heading their way. On the descent, the ride starts to accelerate! The electrical signals fire quickly to communicate with other subcortical (a.k.a. evolutionarily old) regions of the brain, such as the amygdala and hypothalamus. Ever wonder why smelling Liquid Sunshine instantly boosts your mood? It might be the uplifting citrus molecules interacting with the amygdala, which is the brain region primarily responsible for responding to emotional stimuli, like fear and anxiety. The ride slows to a halt when these impulses in the amygdala and other brain regions trigger neurotransmitters that communicate with the rest of the nervous system and body. The pathway of aroma traveling through the body can prompt a multitude of physiological changes, like allowing us to relax by sedating your central nervous system or restoring bodily balance by slowing your heart rate. While the sense of smell is often underutilized in modern living, the effects of smelling and using essential oils are anything but subtle. Whenever you inhale aromatic molecules, you’re communicating directly with the feeling brain — think about that the next time you smell an essential oil! It only takes our brain half a second to register an aroma, but it takes about .9 second to react to pain. 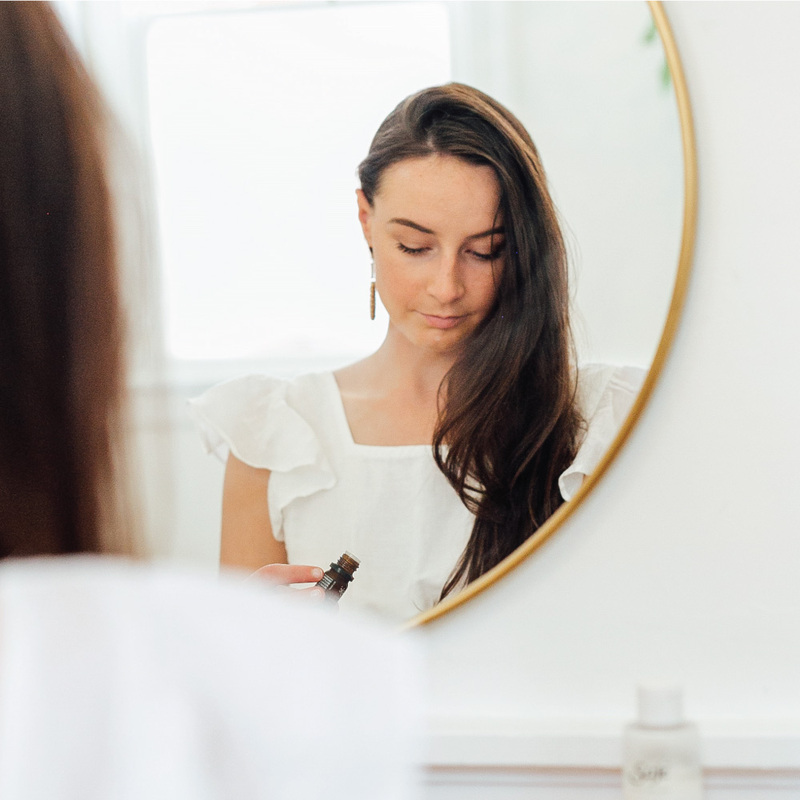 Smell has an uncanny ability to transcend time and space, but our olfactory powers also have an often-overlooked effect on our physiology that can be critical for healing, associative learning, and more. As we conduct more research on essential oils and their therapeutic benefits, the impact is wide-ranging— from potentially healing deep-seated trauma in the amygdala to re-wiring behavior patterns that are a result of maladaptive brain circuits. To plants and to humans alike, essential oils could be just that: essential!